A beautifully positioned and architect designed detached country home with an indoor swimming pool, self contained flat, south facing formal garden of 0.57 of an acre and an adjoining paddock of 2.16 acres with a stable block, detached double garage and various outbuildings. Enjoying stunning far reaching views across the Ashdown Forest and towards the South Downs. This magnificent home was individually designed and built in 1963 and named Seeley Cottage, Seeley meaning happiness in Old English. Visually the property is “built before it’s time” with the upper elevation cedar clad with a local brick base, originally built as a 5 bedroom 3 bathroom dwelling with an indoor and outdoor pool (the latter could be reinstated), part of the lower ground floor now serves as a one bedroom self-contained flat. The property commands a stunning elevated rural position within the Forest with accommodation arranged over 3 levels extending to 3,302 sq ft. The living accommodation is largely open plan and the primary living space on the ground and upper floor comprising of an entrance lobby, a cloakroom, kitchen with separate utility room, an impressive 23’6 x 15’4 sitting room with high ceilings, attractive open fire place and doors opening to a 27’11 x 27’10 seating veranda. 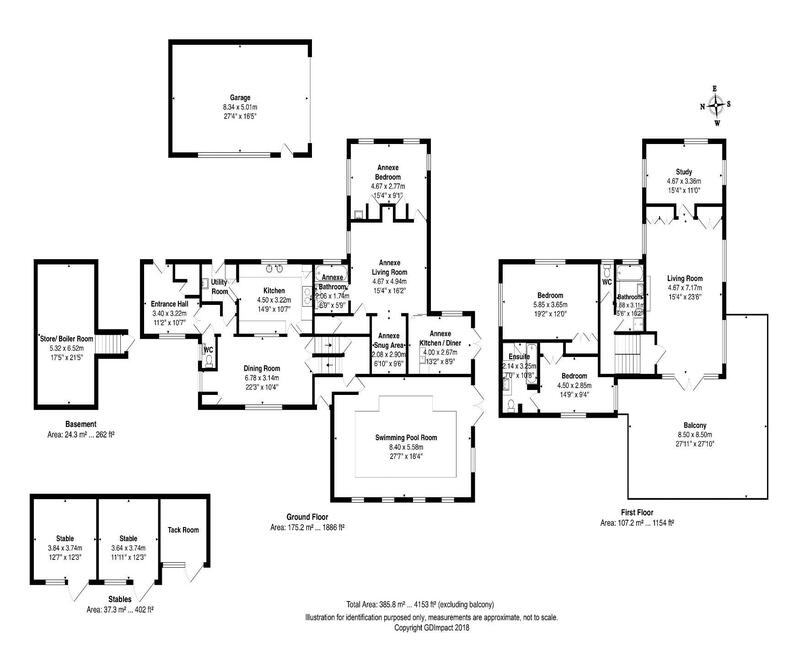 A study/bedroom, 19’2 x 12’ principle bedroom, separate WC and family bathroom, a further double bedroom with en-suite. A lower ground floor provides a one bedroom self contained flat with a kitchen/dining room, family bathroom and double bedroom. There is a large basement store/boiler room. Outside the property is approached via a shared long unmade drive which leads a five-bar gate and private driveway which in turn leads to a detached double garage. A flagstone courtyard adjoins the property on one side with a well-established formal lawn garden to the rear boasting an array of herbaceous specimens as well as a bank of Rhododendrons and Azalea. The adjacent field/paddock includes a large timber outbuilding, a stable block with tack room, yard with direct access to the Forest and a five bar gate providing separate access. drive and also offers rail links to London.